Our organization holds expertise in offering a wide range of Neel Blue Bottles. These bottles are very popular amongst our clients for their durability, unique design and availability in different colors. As per the specific requirements of our clients all the products can be customized in various sizes and colors. Besides, we can offer these products in bulk quantity. We hold expertise in manufacturing, exporting and supplying an extensive array of Liquid Neel Bottles. With our in-depth knowledge and experience, we are engaged in offering Liquid Bottles. Our offered bottles can be customized as per demanded specifications from our clients. We are offering Neel Bottle to our clients. 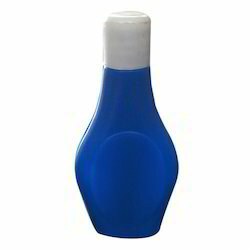 250 Ml Liquid Blue BottlesWe are the leading manufacturer and wholesaler of wide range of Liquid Blue Bottle which are offering to our clients at affordable prices. 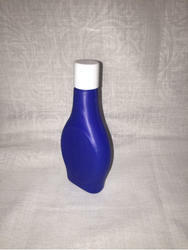 This Blue Printed Bottle is available with a flip-top cap and is perfect for carrying is bags. In Liquid Blue segment we offer 30 ml, 50 ml, 75 ml and 250 ml leakage-proof Liquid Blue Bottle. This is cobalt blue Color bottle and mostly used in essential oil with black and white cap and dropper, and capacity 10 ml standard size.